My parents have stressed to me that our family feels that when we celebrate a Simcha like my Bar Mitzvah this weekend, it is a proud and special moment to do good deeds at the same time. While in Israel recently to celebrate my Hanachat Tefillin at the Kotel, I had a few occasions to witness the fine work of the Darkaynu programs, which cater to the special needs of a diverse group of students — students with severe learning disabilities, mild retardation, and Down Syndrome. Darkaynu was created to provide these young men and women with the same year-in-Israel experience that their peers, siblings, and neighbors enjoy. The boys learn alongside their mainstream peers in Yeshivat Har Etzion and the girls are in Midreshet Lindenbaum in Yerushalayim. Their programming affords these young men and women with the opportunity of a lifetime: they get the chance to learn real relevant Torah, to tour Eretz Yisrael, spend Shabbos with friends. Above all, perhaps, these students have the opportunity to spend a full year away from home — learning how to think and learn and live on their own. They learn about themselves; their strengths and weaknesses, and what they have to offer Klal Yisroel as individuals and as part of their greater Jewish community. Over the course of our school year, the students meet various groups and spend Shabbat with a number of Yeshivot and communities throughout Israel. While in Israel in November, I myself had a chance to see and meet several students from Darkaynu, and with my Dad and brother Jeremy at my side, I came up with an idea for my then upcoming Bar Mitzvah weekend. I decided to use my Bar Mitzvah gifts to fund a Shabbaton of the Darkaynu students this very Shabbos. This weekend is quite unique. 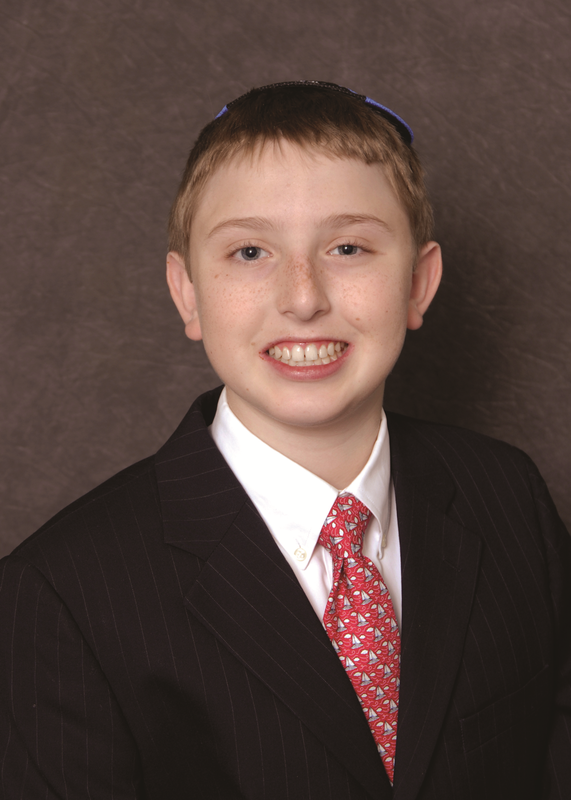 While we are celebrating my Bar Mitzvah here, my Bar Mitzvah gift dollars will give Darkaynu students the opportunity to meet and befriend a group with diverse background and interests, from varying levels of religious observance, and then, to look beyond all of the external differences to experience Shabbat as friends. The students this Shabbat are at Bar Ilan university simply enjoying meeting kids and expanding their horizons during their sacred year in Eretz Yisroel, and embracing the acceptance of them as peers and friends who are excited to be in that special environment. You and I may take this acceptance for granted, but the young men and women in the Darkaynu Programs appreciate the new friends and shared experiences from this special weekend. It is my prayer that just like I will remember this Bar Mitzvah weekend here for years to come, they will be talking about their memories from their Shabbaton this weekend and from their unusual experience at Darkaynu.